Get a Modoc County Traffic Ticket? You Can Beat It! Did You Get a Ticket in Modoc County, California? You can fight Modoc traffic tickets by getting them dismissed much easier than you may think. In Modoc, California, drivers are allowed to contest a traffic ticket using a Trial by Written Declaration. This is best way to fight a traffic ticket without going to an Modoc courthouse or hiring an expensive Modoc traffic ticket lawyer. We have found this to be the best way to contest a California traffic ticket, period. This option is available to every driver who receives a traffic ticket in Modoc, California. In fact, if you turn over your traffic ticket you will see that a Trial by Written Declaration is listed right on the back of your ticket as one way to fight it. This process has been around since 1978 to avoid having to pay traffic ticket fines. TicketBust has been helping California drivers prepare Trial by Written Declaration’s for over 15 years. In fact, tens of thousands of vehicle tickets in California have been contested using our system. We are the original traffic ticket fighter and the TicketBust system has been developed specifically to prepare all your documents properly based on how you answer a few questions. This way you can fight your ticket, knowing you have maximized your chances of having the court dismiss your Modoc County traffic ticket. When you contest a ticket using a Trial by Written Declaration not only don’t you need to go to court, but you don’t even need to take traffic school if the ticket is dismissed. If the ticket is dismissed, no point will appear on your driving record and the bail will be refunded to you in full. If the ticket is not dismissed and you are eligible for traffic school, then you should still be eligible after a Trial by Written Declaration. TicketBust service will prepare your full defense package for you, which includes your Trial by Written Declaration and all the defense documents required by Modoc traffic court. Fill out the yellow form to fight your Modoc traffic ticket now! Did you know that you aren’t allowed to pass the white limit line when you are stopped at an intersection? From our experience, this can be a common ticket issued in the county of Modoc, so be on the lookout and stay behind that solid white line. If you find yourself having received a traffic ticket in Modoc, give us a call or fill out our form to see how we can help! Modoc County gets its name from the Modoc people who inhabited the county for thousands of years. The Achumawi and Paiute also lived in the area. Settlement of the area began in the 18870 with the timber, gold, agriculture, and railroad industries. It wasn’t until California Governor Newton Booth signed an Act of Legislature in February of 1874 that Modoc County was officially formed from eastern lands of Siskiyou County. The 4,203 square mile county is the most northeastern county in California, bordering both Oregon and Nevada and is the only rectangular county in California. 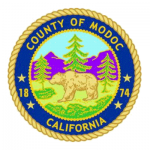 The population of Modoc sits at an estimated 8,900 residents, making it the third least populous county in California. Visitors and residents alike enjoy many of Modoc County’s beautiful and historical outdoor activity sites including the South Warner Mountain Wilderness, Surprise Valley, Devil’s Garden, the Lava Beds National Monument and the Tule Lake Internment/Segregation Center, which is the site of one of the ten internment camps constructed to incarcerate Japanese Americans on the West Coast during World War II. Tule Lake Segregation Center, with 18,700 inmates, was the largest and most controversial of the ten camps. Starting in 1974, Tule Lake became the site of several pilgrimages by those seeking an apology from the government to Japanese Americans. The pilgrimages continue to this day every other year around the fourth of July and serve education purposes.